User-friendly mobile devices are changing travelers’ online preferences and habits, re-defining how they research, plan and book a trip. Empowered with more knowledge and social media nous, today’s guests’ are pushing accommodation providers for improved products and services for their travel experience. As a Property Manager, advances in data analytics are transforming the hospitality industry with the potential to enhance a property’s financial performance and offer detailed insight into customer preferences. As the use of mobile devices, social media and advanced analytics continue to evolve, and as online distribution channels become more accessible, technology has created new opportunities for properties to drive operating efficiencies and engage with guests, from booking through to checkout. According to 2014 research by eTrack, eMarketer and Alexa.com, 57% of all travel reservations are taking place online, while internet travel booking revenue has grown by more than 73% over the past five years. At the same time, the competition to gain control of the distribution channel has intensified. 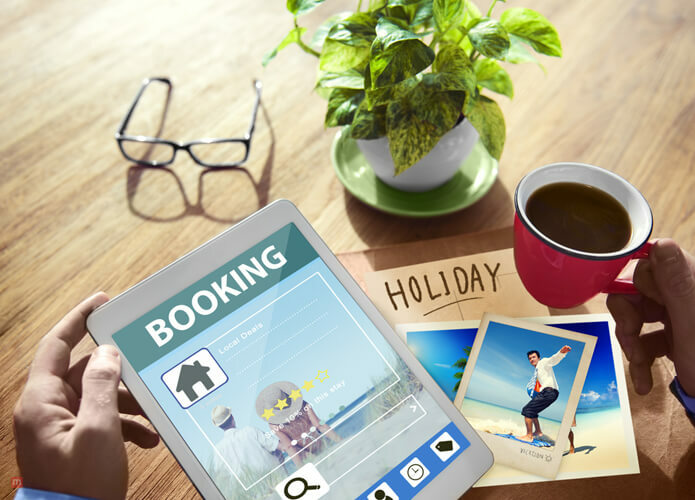 Through acquisitions of property management and digital marketing platforms, online travel agents (OTAs) are providing additional services to encourage properties to distribute rooms on their sites. On the other hand, as a property owner you know the importance of driving bookings directly to your own proprietary websites to reduce commission outlays. So, how do you keep up with these technological changes, see profitable return on investment, and ensure you don’t fall behind? Channel management has always been important for every Property Manager. Thousands of properties around the world have used channel management tools on a daily basis for years as they realise it is imperative as part of a solid property revenue management operation. However, it can be confusing and confronting to know which model is the most beneficial for individual businesses with so many choices in the market and systems continually offering lower prices. Whilst many of these tools may seem incredibly cheap, most of them are performing far below Property Manager expectations. Using the tools is cumbersome and ineffective, so logically Property Managers continue to search for better channel management tools. Below is a checklist of the features that are imperative for property managers to consider in selecting a channel management system. An end-to-end solution with most (or all) of these features will save significant time and resources whilst adding value and improving the customer experience to meet today’s expectations. Can the system connect you to all major online booking channels so you can access customers worldwide? Do these channels include OTAs (i.e. wotif.com, Booking.com, Expedia and agoda.com), META Channels (i.e. Google Hotel Ads, TripAdvisor and HotelsCombined) as well as Global Distribution Systems (i.e. Sabre and GTA)? Will the system integrate with your Property Management System (PMS), Central Reservation System (CRS) and accounting programs (i.e. MYOB, and Attaché)? Does the system allow for your property’s availability to automatically upload in real time from your PMS/CRS to all booking channels and vice versa? Will it allow reservations from all channels to feed directly into your PMS/CRS saving you valuable time and expense? With mobile device usage on the rise, does your system allow guests to search and book from their smartphone, tablet or laptop, anytime, anywhere and immediately receive confirmation? Direct bookings with three clicks from ‘look to book’ create a higher percentage of ‘stick and stay’ browsers that turn into customers. How user-friendly is the system? Does it have a live dashboard that is easy to understand and is it fully customisable? Can the information and updates from each online booking be viewed live in one central place? Is the system easy to navigate and can it provide detailed reporting? This will make budgeting and forecasting a stress-free process. Can your system manage inventory and set prices based on the criteria you customise and set? Inventory mapping and intuitive pricing functions can automatically update inventory and change rates based on availability; ensuring your rooms are always listed at the best price, without even logging in. What marketing tools are included? Marketing is made simple if you have access to online promotional tools that allow easy and comprehensive set up of promotional campaigns, competitive offers and pricing codes. Does the system offer a range of analytics to help you predict future trends and grow your business? Can you quickly and easily see which channels are delivering the most bookings and which are not? How long will your new system take to implement, what training is provided and how much help do you get after the initial purchase? In today’s fast-paced world, you should be looking for a company that provides a good mix of assistance, including fast emergency technical support and online resources such as tutorials and videos. As a Property Manager your business and personal life will be transformed when you choose a channel management system that provides these advanced technology features.